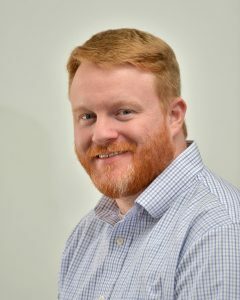 Brian has been in the non-profit sector, specifically working for fund development teams, for over 12 years in the Atlanta area. His career started in member services before transitioning into Database and Application Management. A native of metro-Atlanta, Brian grew up in Conyers with his four siblings. Shortly after completing his BA in Film Studies from the University of North Carolina at Wilmington in 2003, Brian moved back to the metro Atlanta area and began his career. Brian and his girlfriend live in Atlanta and love the city life. In his free time, he writes, directs, and produces films. If he’s not behind a camera you can likely find Brian out and about in the city trying a new restaurant, on a golf course attempting to lower his handicap, playing softball somewhere, or watching a movie – or whatever sporting event is being broadcast. I’ve been writing and directing (live action performances, video recorded skits, or films) since I was in grade school. Playing golf or softball, or watching movies or Braves baseball. Anywhere quiet by the sea. A tough question! Probably A Prayer for Owen Meany. Toughest question to answer! Toss-up between It’s a Wonderful Life and Jaws! The days of staying out till dark playing ball in the backyard with friends. What is One Thing You Hope You Never Live Without? The authenticity of our staff in their desire to love and care for everyone.